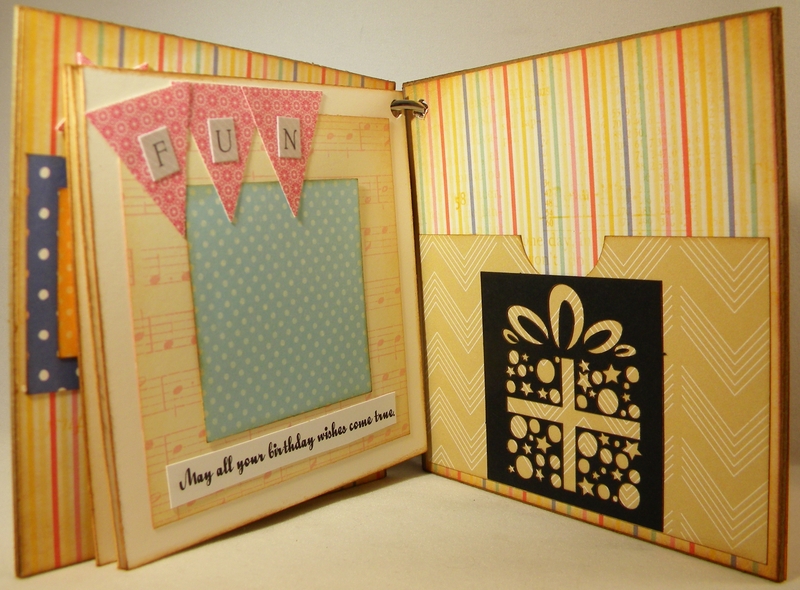 This little 4×4 mini album is the perfect gift for a birthday present. It has places along the way to record memories and place photos of the special day. And the last page has a gift-card pocket! I used chipboard to create the cover. 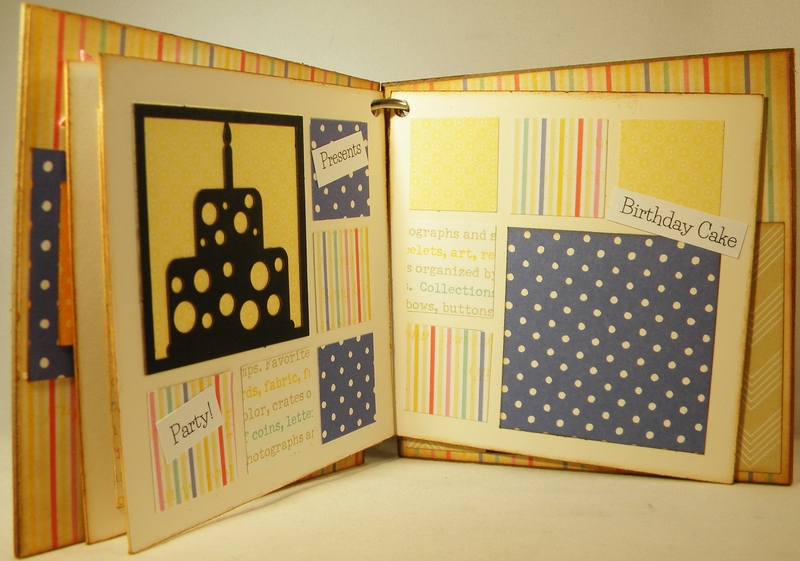 The inside pages are Mosaic Moments RTC Grid Paper, which can easily be cut to 4×4 sheets. 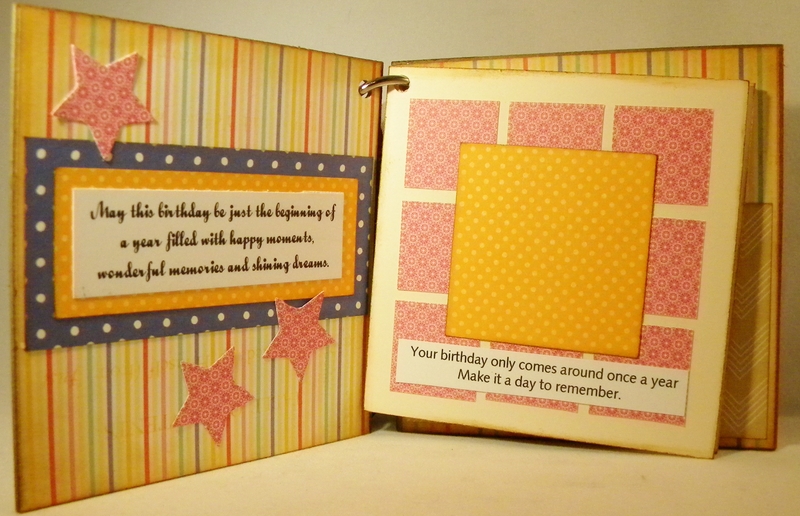 I glued them together back-to-back to make sturdy pages. I bound the book with a ring and added ribbons and fibers from my stash and a little clock from Hobby Lobby. I typed all of the quotes and words and printed them off to use in the book. The tiny prints are all from Memory Box. By using the grid paper, I can easily place 1″ squares to frame the photo on this page. 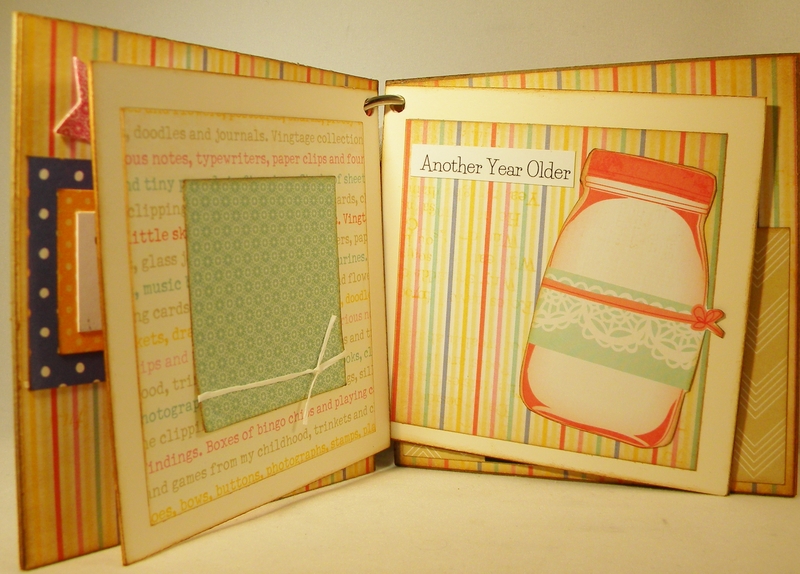 The striped, text and jar papers are all from American Crafts. I just cut one jar out for an embellishment on this page. This page takes advantage of the grid paper. I also added a Cornerstone (the cake) from Mosaic Moments. I replaced the paper it came with with a piece of patterned paper to keep with the theme of my book. The last page used another Mosaic Moments Cornerstone (a present), along with chevron and note paper from American Crafts. The pocket (the brown chevron paper) allows for a gift card to be inserted.